There are so many things that capture my attention since I am in the design industry. Yes, Interior Design is my main outlet for creativity and it's also what I went to school for but I also appreciate so many other things in the creative industry. Sometimes I think how would it be if I did anything else other than interior design. 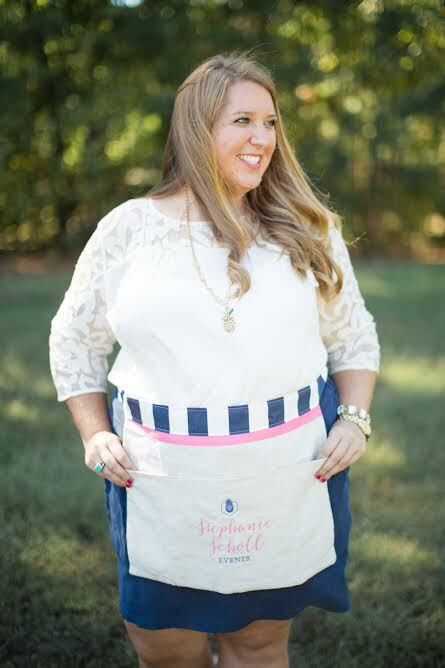 I decided to take a few minutes to interview my friend, Stephanie Scholl, the face behind Stephanie Scholl Events and see what she has to say about being full time in the wedding industry..
Read her story and see how she grew her passion into a full time career. Congratulations Stephanie on taking your business full time! You are so contagious to be around and your smile gives hope to others. Your attitude reflects Christ in all that you do and I am so happy to share you with the world (or everyone that follows me!!). 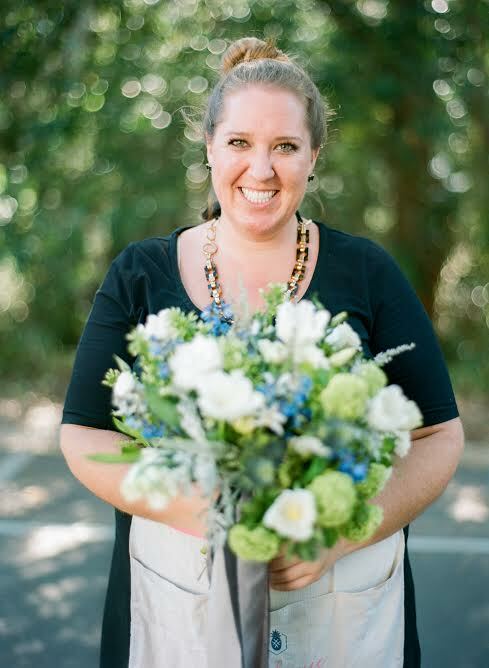 If you are looking for someone to help you with your wedding, Stephanie is your girl! What is an aspect of wedding planning you see your clients struggling with the most? How to you help them? What's your favorite thing about working with brides? I think one of the biggest struggles my brides and grooms have is having the wedding of their dreams... but on their budget. Working with them to realistically talk through all points of the budget and what that means for the overall look, feel, and details of the wedding is something that is always a work in progress! There are so many sources of inspiration out there, and there's even an over-saturation of ideas sometimes. Pinterest is both a blessing and curse, and I use it spraingly through the wedding planning and designing process. I love having my brides create an initial wedding Pinterest board, and I help them add to it and refine it, but then we don't use it too much afterwards. Being on the same page from the beginning is ideal, and I refer back to it for the big picture items (the overall look, feel, and emotions of the day, along with those most important elements) sometimes. But knowing when something is too much - too much money, too much excess, or not consistent with your overall vision - is good, too. I love the beautiful details and making the wedding as gorgeous as possible, but, ultimately, the wedding day is about the bride and groom and their love for one another. I want to help them tell and share their love story, as well as the family, traditions, religion, culture, and details that make them and their wedding unique. I try to take the stresses of the budget and the wedding planning process away so that my brides and grooms can spend their engagement celebration their love and preparing for their marriage. Ultimately, a wedding is one day (and hopefully it's an incredible, special day! ), but I want my clients to have a marriage more beautiful than their wedding. So while I work with them and help design, refine, and create the meaningful and beautiful details that go into a wedding day, I try to help them look at the big picture and focus on the fact that their favorite people in the world are coming together to help celebrate them and their love story! What does a typical day look like for you? How do you stay organized? Now that I work for myself and work from home, no day is ever the same! I absolutely love that, and the flexibility is what I had been craving. I'm really organized and am a big fan of goal-setting & having a great morning routine to start my day off in the best way. I am constantly writing to-do lists (pen and paper ones! ), and when I'm wrapping up my work day, I write out my to-do list, notes, and reminders for the next day so that I can brain dump and start my day off feeling like I know what's coming. I always have my calendar open on my desk, as I'm constantly scheduling meetings, appointments, coffee dates, prepping for weddings and styled shoots, and everything outside of work! I love being busy, so I really thrive off of a full calendar. And since I'm new to Raleigh, I have loved meeting dozens of amazing people in the creative and wedding industry in the last month! It keeps me busy, but it's so much fun to connect with others and build that community. Some days I'm browsing wedding dresses, shopping for props for a styled shoot, working on a calligraphy order, designing florals for my brides, checking out new venues, and going to cake tastings. And some days I'm working fifteen straight hours at a wedding to pull off the most magical day! Other days, I'm onsite at a styled shoot I designed and making sure the photoshoot comes together perfectly. Of course, it's not always glamorous, and there are plenty of hours typing away emails at my computer, working on the business side of my business, creating timelines and contracts and seating charts, and so much more. I think that's the fun thing about working for myself now: no day is ever the same! I also manage the social media for a prominent wedding magazine, so I'm posting to several avenues of social media multiple times a day for them - that keeps me working from 9am to 5pm every work day! What are the most valuable lessons you've learned working in the wedding industry? I'm still pretty new to the wedding industry (and am definitely new to town! ), but building authentic friendships and community is the best thing. I have loved working with so many talented people who have become friends, and I genuinely want to get to know them and their hearts. We're all so much better when we work together, and I am so blessed by the people I've connected with and the friendships I've made! I have to admit that I never really considering this as my career until just a few years ago, but now I'm having the time of my life and feel like I'm exactly where the Lord wants me to be. I'd recommend interning or assisting with a wedding planner so that you can really get your toes wet and see what the job really entails. While there are definitely glamorous aspects of the job and awesome perks, there is also a lot of hard work, sweat, and nitty-gritty details that go into the job. Gaining firsthand experience is crucial, and I would definitely recommend immersing yourself in the wedding industry. I started my blog, which is focused on weddings, years ago, when I first felt the nudge to work in weddings. 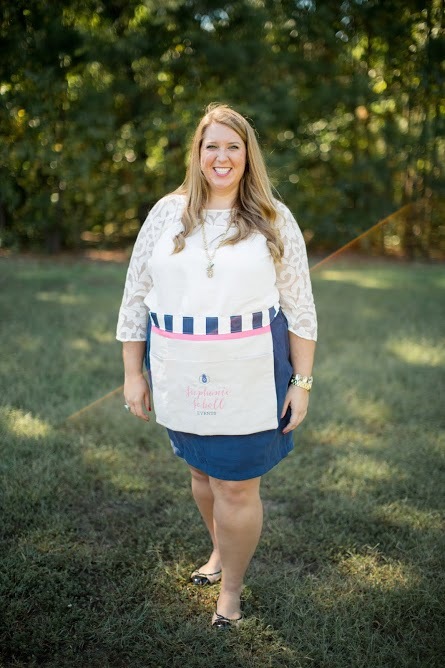 Being active on social media, blogging regularly, meeting and connecting with wedding professionals and vendors, and offering to help out are all amazing ways to begin to pave your way. Planning styled shoots is also an incredible way to work with others, build your network, showcase your talents and abilities, and let your creative design side shine!